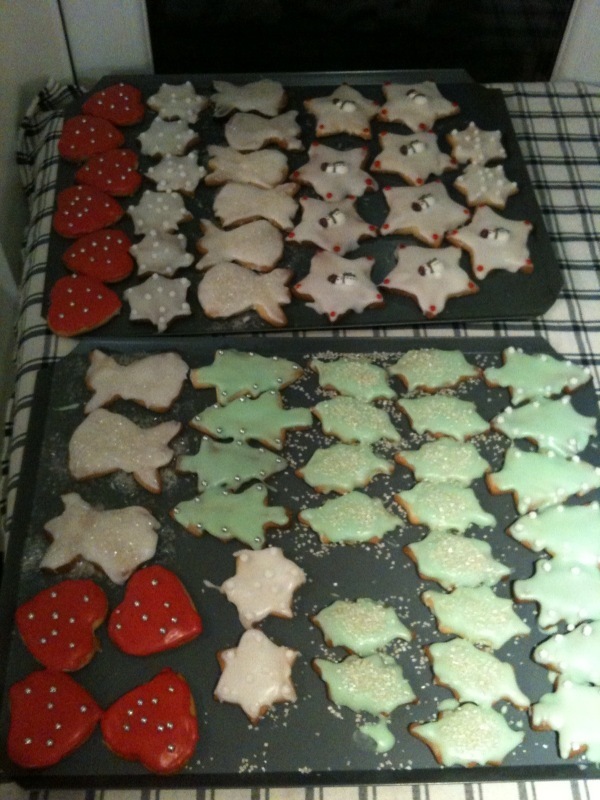 Icing these babies has taken Christmassy-ness to a whole new level! Mmm, strawberries… …or, er, are they hearts? They’re hearts! Christmassy in a Scandinavian kind of way. And the others are angels, if you were wondering.